“We were 18 and just young and in love and then I was pregnant with my oldest and we quickly realized that this world is hard and it’s not free,” said Ashley Sistrunk, a military wife and spouse. Ashley and her husband made the decision to become a military family. For the last 10 years, Brandon has served in the Air Force and has been deployed four times, missing the birth of three of his four children and the holidays. 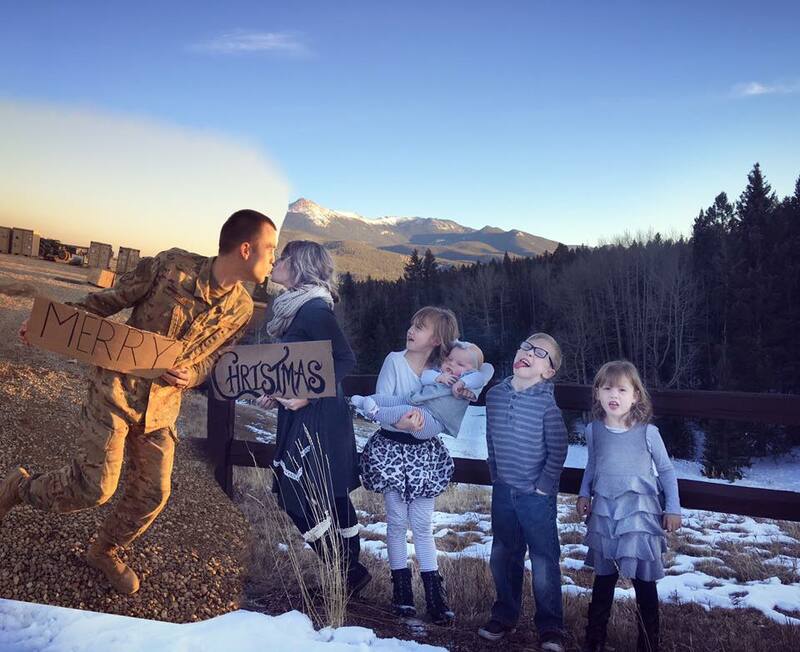 She wanted to do something different and decided to make a unique Christmas card, getting Riley, Landon, Macy, Nora and her husband, currently deployed halfway across the world in Iraq, all in one picture. “He’s going out to the country and fighting for us and he’s making sure everyone else is safe and he’s sacrificing his life for ours,” said nine-year-old Riley, the oldest of four siblings. As a mother, Ashley has made it a point to make sure that her children know dad isn’t gone for long, including his picture at family dinners and creating a deployment wall inside their home. “We mainly do it as a reminder of daddy’s doing something important more so than pretending that daddy is still there because obviously that’s hard to do,” said Sistrunk. Ashley says the hardest part about having her husband gone is seeing how much the kids miss him. “He’s been deployed for so long and we miss him so much,” said 7-year-old Landon. “When he comes back, like play with him and do a lot of stuff when he comes back,” said 5-year-old Macy. Ashley says Brandon comes home to them sometime in January. They are such an amazing family!!! Love them!! !